Earlier this month, Johan Høgåsen-Hallesby, CTO of Urban Sharing, joined South By Southwest (SXSW) as a panelist. We spent some time when he came back picking his brain about his experiences, as well as insights into the future of the bike- and scooter-sharing industries. Q: Let’s start with what you spoke about at SXSW. Johan: I was there to talk about the Nordic approach to data, and what aspects of it could — and should — be exported internationally. The panel was set up by Innovation Norway, and specifically Gaute Hagarup, who’s been HUB manager for Smart Societies within Innovation Norway for a few years. I was invited to represent the perspective of Urban Sharing, while Gunnar Crawford, a representative from Stavanger, discussed data handling from a city perspective. What made this a really interesting discussion is that, despite having very different experiences with using data in our individual professions, we share the viewpoint that data should be open and public. The common theme between Urban Sharing as a Nordic company, and Stavanger as a Nordic city, is that we both truly believe in the idea of open collaboration, and that a company should contribute back to where they operate. That willingness to share, that openness of data, and that culture of collaboration, are things that might actually help us get to interesting concepts or solutions in our space more quickly than we would have otherwise. And while, on the one hand, I’m frustrated that some politicians aren’t more proactive in how to regulate this, their reluctance gives us an opportunity to shine. Politicians make it clear that they need to figure something out. And, as a responsible player, we can use the trust and openness we’ve already built with the city to actually test things out, which in other countries might be regulated to death. So we’re deliberately running the scooter pilot we’re planning out in Fornebu [an area bordering Oslo] openly. We’re using the pilot to learn how to overcome a number of challenges associated with free-flow scooter services. The data we collect goes directly back to the public. There is a city, a municipality, a public transport company and a private startup, piloting something together. Everybody’s invited to join! And all the data and experiences belongs to the public. There’s something uniquely Nordic to that idea, that way of working together. Q: Is it a stretch to say, the willingness to say you don’t know comes from a sense of humility that some would associate with Nordic culture? Johan: I’ve come to love that idea myself, being very upfront about, “we don’t have data on this”, “we don’t know yet,” “this doesn’t work,” “what are the steps to make this work?” I think that makes for more interesting companies. I think that makes for more interesting partnerships. I think it makes for more interesting problems to solve. I used to live in San Francisco. Every single company I met claimed to have it all figured out. And then you’d start asking questions, and it became clear they had no idea what they were talking about. A lot of them were very good at what they did, and after some time they’d get to the point where they could fill those gaps in knowledge. But never at any point did they admit that they simply didn’t know. To me that’s a weird way of solving problems. You’re creating a sort of closed culture. On the other hand, if you say there’s a problem to solve, you can then open it up for others to collaborate. 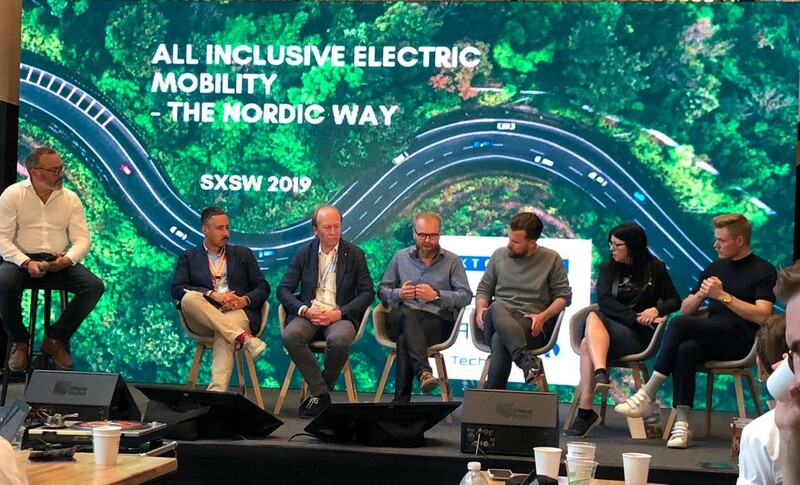 Q: Is there anything about micro mobility that stood out at SXSW? Johan: I found it very interesting that micro mobility was not really a theme of the conference. It was a theme on the street outside of the conference. I’m probably a little biased because I’m in this industry, but when I was at SXSW before, the discussions were, “Oh, did you hear this?” about such and such panel. 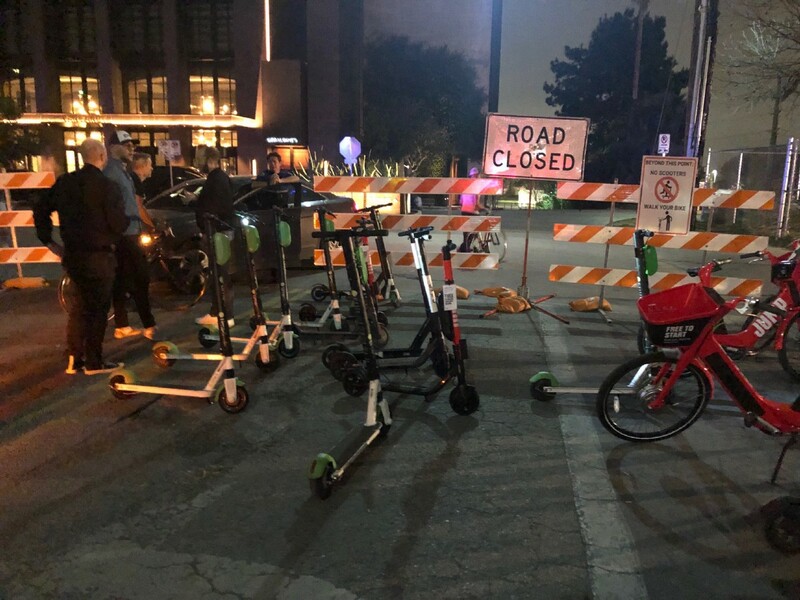 This year, people discussed the scooters on the street. They talked about what was happening in Austin, rather than what was inside the conference. But it doesn’t make sense to show off a scooter on a stand in an exhibit hall. It’s a product that belongs on the street. You don’t really understand them until you see thousands in front of you where they’ll be used. A number of companies were showing off scooters, as if to say, “This is how this can work.” They had people on the street cleaning up, and some outreach programs to give away helmets and instruct people how to use a scooter. One company had a guy on an e-bike filled with swappable batteries. I think that’s an interesting model, where you actually use a low-emission vehicle like an electric bike to transport batteries around. I’m really fond of that idea of using assets within the system to support the assets. In the same sense, we have a workshop on our cargo bikes. I think Austin is a good showcase for scooters and bikes, because it has nice, protected bike lanes. The bike infrastructure is there, and the layout of the city is well-done, so it lends itself well to micro-mobility vehicles. Q: So, next year, say you go back to SXSW. It’s the middle of the election year, and probably a lot more political. What do you think it’s going to look like? Johan: I think this is the last year where scooters and bikes are so unregulated. I definitely think within this year we’ll see a lot more enforcement of how they are parked. I truly don’t believe in the 100% free-floating model where you can park wherever you want. There are at least two movements from disability groups protesting scooters blocking sideways. If you have a wheelchair or stroller, these scooters are messing up the streets. I definitely think there’s at least going to be changes like that. If you look at the rapid iterations of how this industry evolves, I imagine a completely different operational model, as well as a different regulation model in terms of parking bikes and scooters out on the street. Q: Do you think Urban Sharing will be a leader in these upcoming changes? Johan: That’s our aim, much in the same way we didn’t go directly to dockless but instead developed a hybrid model for bike sharing. We focused on how we could remodel something that had the principal of dockless, but in more regulated forms. That’s our whole aim for piloting scooters as well. How can we improve the operational model, then balance that individual flexibility with the more orderly needs of a city? What I’m really looking forward to with scooters is discovering how a station-based model with scooters would work. From the individual perspective, of course it makes sense that I can take a scooter all the way to my door and park it. But the city doesn’t scale if every individual need is met perfectly. We as city residents move through our cities by compromising. We wait in line and we stand on the right side of the street. We wait for the next bus if it’s full. That’s how cities scale. We need to accommodate each other. I think a station-based scooter model is a better fit for a city that scales. You don’t have to ride a scooter all the way up to the door. We often hear that it’s the “first and last mile” that matters. This may be true, but it’s not the first and last 100 meters. You should walk them. It’s good for the city, and it’s good for you as well. Another thing to consider is that if you think more station-based, you can organize scooters or other micro-mobility vehicles better. It’s easier for a user if they can expect to find a scooter in a particular spot instead of searching for one. This is also better for operations. If the operator needs to collect, or rebalance, or charge, they can do so more efficiently if they can round up a group of scooters. Will new technology and upcoming regulations help make station-based models more appealing? I think that station-based models — whether physical, virtual, or hybrid — are going to be necessary for making this industry sustainable overall. If you want to have the business case to actually stay positive, you need to have a more cost-efficient operation, and it’s probably going to be a requirement from the city. A lot of scooter companies have started adding a number of no-parking zones in their apps. And these maps are starting to get so scattered with red zones that you’re basically left with stations, anyway. So rather than saying, “You can’t go here,” it’s only a matter of time where you can flip that and say, “You can go here.” I’m expecting to see more of a station, hotspot-oriented common model this year.